Regrouping four villages – Székelyhodos (Hodosa), Jobbágytelke (Sambrias), Iszló (Isla) and Ehed (Ihod) – the commune is situated in the centre of the imaginary triangle formed by the towns of Marosvásárhely (Târgu-Mureş) – Szászrégen (Reghin) – Szováta (Sovata), at a distance of 30 kilometres from each. 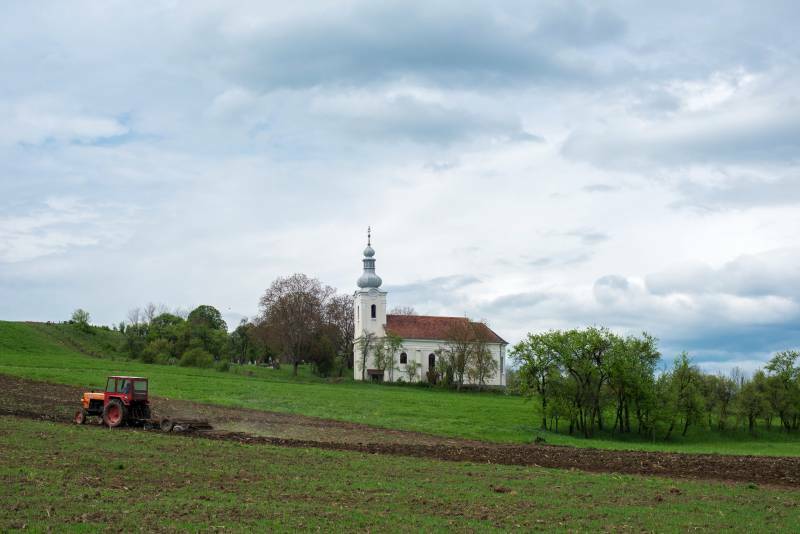 The geographical position constitutes from manifold respects a disadvantage, on the other hand, though, due to its location the administrative centre of the commune, the village of Székelyhodos has become an important cattle fair in the county. The polished stone axe, the relatively rich archaeological heritage from the bronze age and the clay water-supply pipes from Roman time and the stone with Latin inscription discovered in the area and kept in the Maros (Mureş) County Museum prove that the site has been populated since early times. In the papal tithe register from 1332, the village Székelyhodos appears under the name of Hudus. During protestant reformation, as the inhabitants of Marosvásárhely become protestant, the tiny Hodos becomes for a while centre of the Roman Catholic diocese. Thanks to its geographical position, and maybe with regard to the tradition which made Hodos meeting place for peasants from all around the region to trade livestock and goods, the imperial court of Vienna, Kaiser Ferdinand I, Emperor of Austria, issues in December 1838 a richly ornamented document that grants the right to the Communitatis Possessionis Hodos to hold a market and fair in the village. In what concerns the local cultural heritage, the village of Székelyhodos, in addition to its traditional fare, has a magnificent XIVth century church. Jobbágytelke ows its reputation to its famous folk dance group, the traditional craftsmanship of straw-plaiting and home-made plum and cereal brandy. The village also hosts an annual festival, the Marosszéki Folk Music and Dance Camp. Jobbágytelke has a rich architectural heritage, having almost one hundred traditional peasant houses. Hidden among hills, in a picturesque natural environment, the peaceful and tiny village of Ehed is famous for its cherry-orchards, and likewise Jobbágytelke, it has many beautiful traditional houses and auxiliary buildings. First mentioned in the year 1567 in a register, Iszló once was famous for its vineyards and a wine obtained from a grape called Hamarcsa.